Danny Ray Booher, 70, of New Martinsville, WV died Friday, November 16, 2018 as the result of an automobile accident near Pentress, WV. Danny was born September 30, 1948 in New Martinsville, WV; son of Anna Belle (Stackpole) Booher of New Martinsville, WV and the late Ray H. Booher. He was a retired crane operator for PPG, a U.S. Army veteran having served in Vietnam, former member of New Martinsville Moose #931, involved his entire life with 4-H, like his father he loved horses-especially watching his grandchildren ride, member of the Town & County Days Board, a member of Wetzel Masonic Lodge #39 A.F. & A.M. and the Shriners and member of Immanuel Baptist Church. 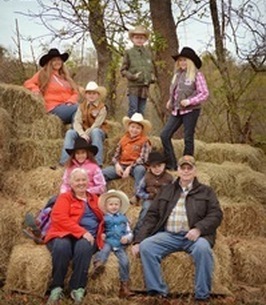 As a result of the wreck his father and sister, Patricia “Patty” Hawkins passed with him, in addition to his father and sister he was preceded in death by a granddaughter, Keirstan. Surviving in addition to his mother are his wife of forty-six years, Christina (Lemasters) Booher; son, Danny R. C. (Amanda) Booher of New Martinsville, WV; three daughters, Denise Booher and Amanda Booher both of McMechen, WV and Millie (Roy) Booher of Porters Falls, WV; brother, Rick (Debra) Booher of Coraopolis, PA; eight grandchildren, Kimberly, Russell, Evi, Eli, Brielle, Ethan, Danny III and Jasper and several nieces, nephews and cousins. Friends received 2-8 p.m., Monday, November 19, 2018 at the New Martinsville United Methodist Church, 10 Howard Jeffers Dr., New Martinsville. Local arrangements entrusted to Jarvis-Williams Funeral Homes. Private funeral services and burial will be held at the convenience of the family. Memorial contributions may be made, in Danny’s name, to Wetzel County Hope and Memories. 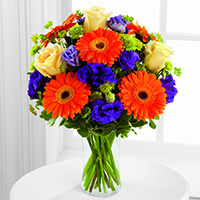 To send flowers to the family of Danny Ray Booher, please visit our Heartfelt Sympathies Store. Additional Information	Memorial contributions may be made, in Danny’s name, to Wetzel County Hope and Memories. We encourage you to share any memorable photos or stories about Danny. All tributes placed on and purchased through this memorial website will remain on in perpetuity for future generations. Our family extends our sympathy and love to this family during this period of grieving. May God comfort this family for their loss of this loved one. Christina, So sorry for the loss of your husband. Danny was a good friend,one of the people I made a point of seeing when I came back to Wetzel County.I will miss Him! I'm so sorry for your loss and we send our sincere condolences to your family. So sorry to hear of Danny’s passing. You all are in our thoughts and prayers. Please accept my prayers and deepest sympathy. I’m sorry for your loss. I am very sorry to hear about Danny's passing. He was truly a great man who dearly loved his family. I enjoyed working with him for several years. I will keep the entire Booher family in my prayers. PRAYERS FOR ALL OF THE FAMILY. GOD WILL BE WITH YOU DURING AND AFTER THIS TERRIBLE TIME. TRUST IN THE LORD AND HE WILL BRING YOU PEACE.